Do you have Bucket List travel dreams? 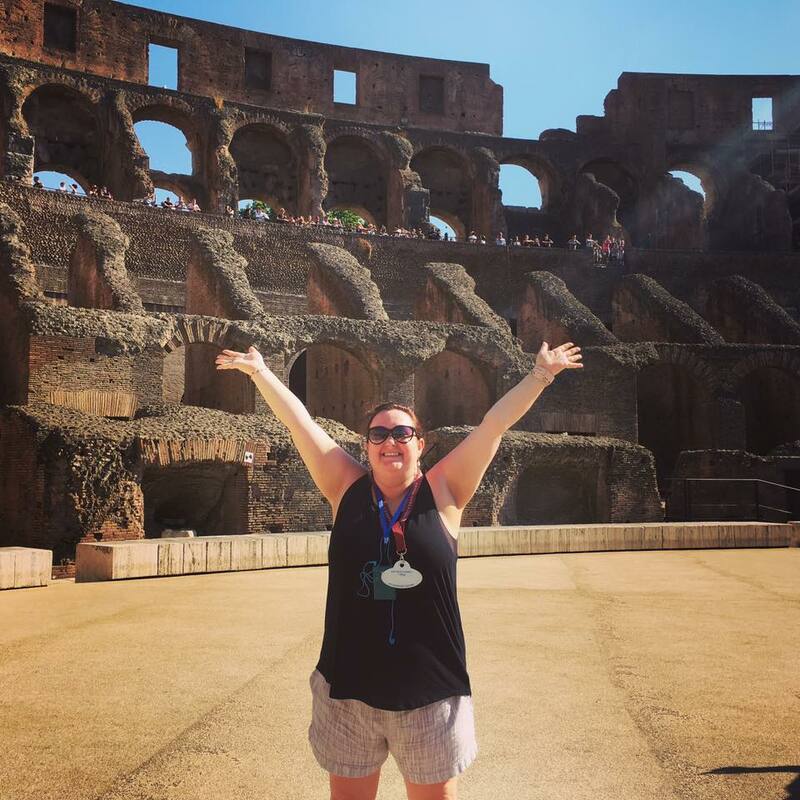 I sure do – and I was able to check a big one off my list after experiencing Italy with Adventures by Disney. Any time you travel outside of the country, it can be a bit intimidating. Disney takes that fear away, as they meet you right outside of Customs at the airport. They even had my luggage ready for me! We were whisked away to our 5-star hotel, The Gran Melia in Rome, where we met our 2 Adventure Guides. Every Adventures by Disney Tour includes 2 Adventures Guides – a local expert, and an American guide. Together they make the entire experience seamless. Our tour started right away, with special backstage passes at the Coliseum. We were allowed onto the actual stage where the gladiators fought. It was incredible! All along the way, you are given backstage, front-of-the-line, VIP passes everywhere you go. The highlight of Rome for me was getting a special after-hours, private tour of the Vatican Museum, which concluded with a private tour of the Sistine Chapel. And Shhhhhh don’t tell anyone, but they even let us take pictures (normally this is forbidden!). After Rome, we took off for Tuscany, which is the most beautiful place I’ve ever been. Don’t get freaked out by being on a bus – it is an AWESOME bus, and the Guides do a great job of keeping everyone entertained on the longer stretches. Although, there are hardly any long rides. Everything is always broken up with more Adventures. For example, on our drive to Tuscany, we stopped for lunch at the medieval town of Orvietto and had a beautiful lunch on the top of the countryside. Checking in to our Tuscan Hotel was a dream. They had a private courtyard waiting for us, with delicious food and prosecco. We all nibbled on cheese and enjoyed our wine while our Adventure Guides got us checked in to the hotel. The highlight of my entire Tuscan Adventure was the day spent at Sara’s Farm. 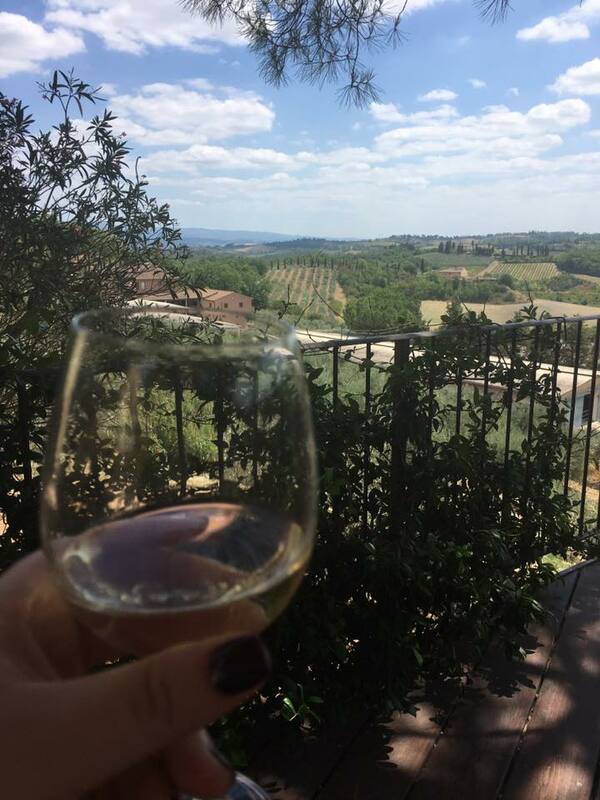 We received a special tour, met some of Sara’s lovely family members, enjoyed a private pasta-making class with Sara, and wined and dined outdoors while enjoying a delicious lunch and wine tasting, all while overlooking the rolling hills of Tuscany. It was just delightful! Venice began with a Gondola ride, which was made even more special with the addition of a singer and accordion player, who were right in my Gondola. It was so beautiful! If you want to feel completely immersed in the culture, and experience everything like a VIP rock star – Adventures by Disney is the best! 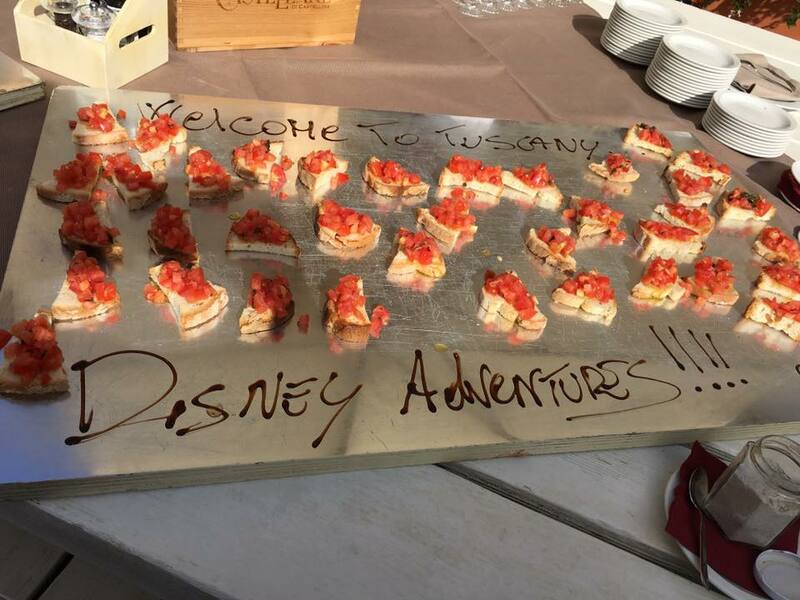 This entry was posted in Adventures by Disney, Blog, Travel Planning, Travel Tips and tagged abd, abd Italy, Adventures by Disney, italy, Italy guided tours on July 29, 2018 by Rick Howard.